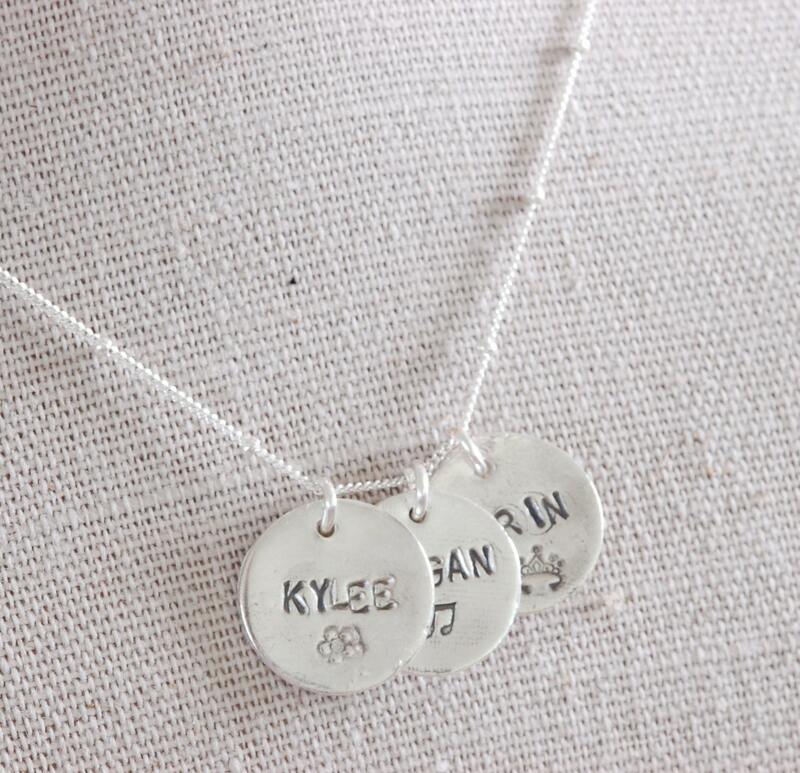 3 fine silver charms, custom-made, on sterling silver chain. Beautiful necklace! Will be buying an additional charm soon for a baby-to-be. Thank you!